DELTA’s Temper Mills are a result of many technological advancements in the metal processing industry. With the increase of laser manufacturing facilities in the United States and abroad, the demand for “memory free/laser quality” steel has skyrocketed. The Flex Roll Cassettes – Are designed to subject the strip to reverse bends so that it elongates the entire cross section of the strip beyond its yield Point. 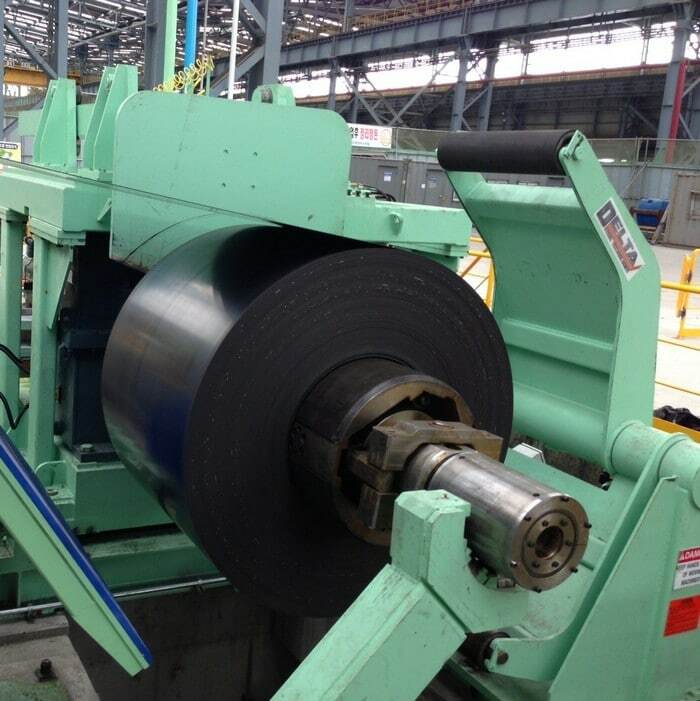 The amount of elongation is controlled by the LPG’s located before and after the Flex Roll Cassettes. Precision Recoiling Drum – Is designed so there is no deflection when subjected to high tension. This device is the Shape Sensor of the Equalizing System, as the strip is wrapped about the mandrel, higher tension is induced at the portion of the strip that is thicker or shorter.